Many of my favorite films are thoroughly bound up in music, and 2014 produced several instances of this type of dependency. Here are three very different approaches to putting pop on film. Gina Prince-Bythewood’s Beyond The Lights revolves around a fictional pop star played by Gugu Mbatha-Raw. Raw, as Noni, performs songs written for the film by Terius Nash, also known as The-Dream. As a writer for Beyonce, Rihanna, Justin Bieber and countless others, Nash has tended to leave a recognizable stamp or two on all his creations. So it’s fun to try to tease out his compositional tics, like Prince-worship, in this project. His songs for Noni are more than believable and surprisingly diverse. 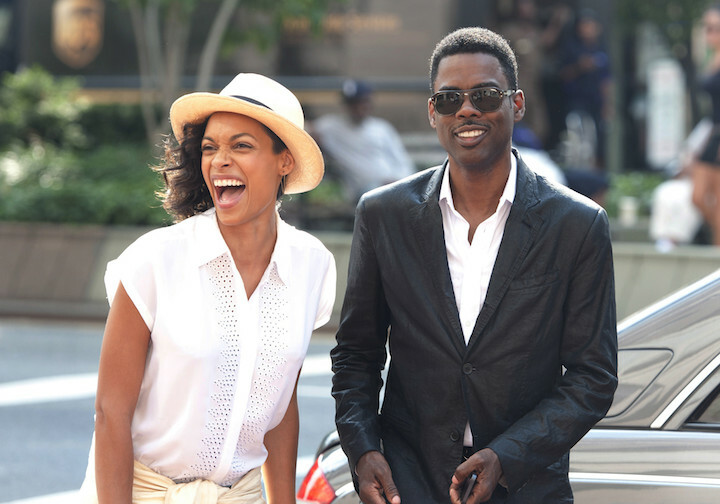 Chris Rock’s love of rap is threaded throughout his career and it serves as a trope in his latest film, Top Five. Different characters’ riffing on their top five rappers of all time is interspersed throughout the story, reminiscent of High Fidelity. One of the funniest and broadest gags in an otherwise restrained film for Rock belongs to a musician who I won’t give away here. With Questlove in charge of song selection, Top Five neatly uses instrumentals from Jay-Z, Dr. Dre and A Tribe Called Quest in a cyclical structure. Boyhood is a special film and one with only a couple parallels in film history. Its use of music is just as interesting. On paper, using mainstream pop songs from every few years seems like it would be pandering. But from Coldplay’s “Yellow” opening the film, to Blink-182 to Soulja Boy, every placement seems to subtly intensify the story’s power. As director Richard Linklater has stated, the one song he used more liberally than the rest, and to great effect, was Family of the Year’s “Hero”. You don’t have to be the same age as the film’s protagonist to feel nostalgic about these songs. In fact, the film and its music forces you to reflect on these same twelve years in your own life, which is one of the reasons Boyhood is so affecting.